One Alaska senator has called for a greater US involvement in the Arctic, criticizing the “lack of capacity” in the region to address issues ranging from maritime safety to climate change. Lisa Murkowski (R-Alaska), chair of the Senate Energy and Resource Committee, held a hearing Thursday on “United States Arctic opportunities,” amid a snowstorm that closed down much of Washington, DC. The hearing was the only event of the day in Congress, and the local media reported the meeting room was full. Of particular concern was the shortage of US icebreakers in the region. “If you can’t move, it makes it tough to do much of anything, and as a nation we are woefully behind,” said Murkowski, seconded by the ranking minority member on the committee, Maria Cantwell (D-Wash). “There are plenty of needs up there,” agreed Admiral Robert Papp, former Commandant of the US Coast Guard and the US Special Representative for the Arctic since June 2014. “Reductions in sea ice are positioning the Arctic Ocean to be increasingly accessible in the short and long terms,” he explained. As of June 2014, there were four US icebreakers in active service, none of them nuclear-powered. Finland had seven, with Sweden and Canada six each. Russia has forty. In addition to the icebreaker shortage, Admiral Papp noted the US was “behind the power curve” in its ability to react to oil spills, which he declared were inevitable. “There will be a spill of some sort, whether it’s from drilling or from a marine casualty,” he said, using a government phrase for a shipwreck. Renewed Congressional interest in the Arctic comes as Washington is preparing to take over the rotating chairmanship of the Arctic Council, an advisory body also including Canada, Denmark, Finland, Iceland, Norway, Russia and Sweden. A meeting of senior officials of the Council has been underway this week in Whitehorse, Canada. Concerns raised by Murkowski, Cantwell and Papp are not new, however. Last year, Alaska’s lieutenant-governor Mead Treadwell urged Washington to pay more attention to the region. “Let’s exercise leadership now, by developing our own energy and building ports and icebreakers”, he said at the US-Russia forum in June. 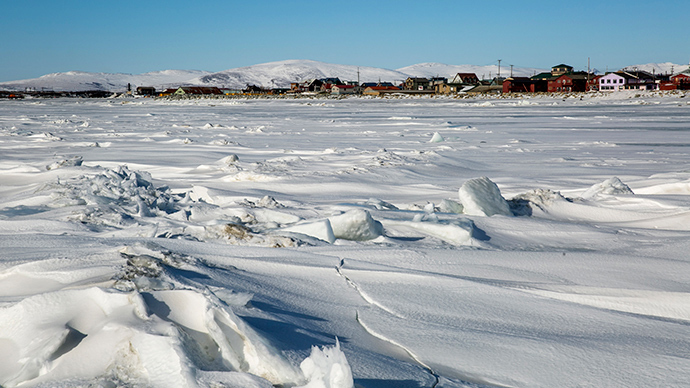 “If we don't exercise stronger Arctic leadership, we will be sorry later,” he added.